As part of the modernization of its fleet in Ukraine, Moscow will set up a unit of diesel-electric submarines in the Black Sea. ­The unit of several submarines will be capable “of properly responding to critical situations,” according to Vice Admiral Oleg Burtsev, the First Deputy Chief of Staff of the Russian Navy. The same concerns the Baltic Fleet, he told Echo Moskvy radio. This year, the Black Sea Fleet will get several new warships, State Duma Deputy Mikhail Nenashev said last week. The MP, who heads the parliament’s subcommittee on military and technical co-operation, also confirmed that diesel-electric submarines will be deployed in the Black Sea. Strengthening the Black Sea Fleet is part of the push to modernize Russia’s armed forces. Not only will units based in Ukraine be modernized, but also those located in Russia’s Krasnodar and Rostov regions, Nenashev said during a video bridge of experts from Kiev and Moscow. The program of construction and repair of fleet housing facilities in Sevastopol and Yalta will start in 2011 as well. The work will be done by Russian and Ukrainian specialists. 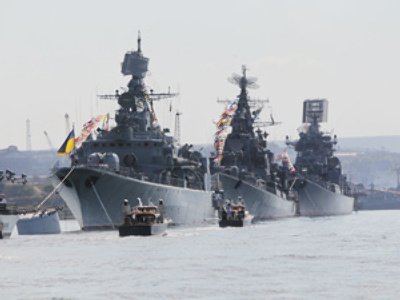 Despite objections by the opposition in Kiev, in April 2010, Russia and Ukraine agreed to extend the term of Russian Black Sea Fleet presence in Ukraine’s Crimea for 25 more years until 2042. The agreement also stipulates that the term may be extended for additional five years. Now only one Russian submarine, the Alrosa, is operating in the Black Sea, and it had to be repaired last year. 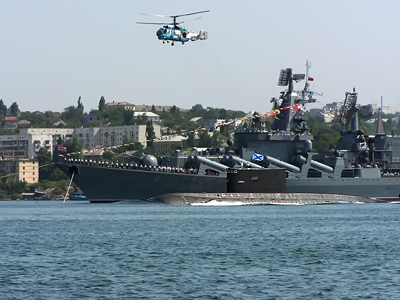 The fleet based in Crimea’s city of Sevastopol contains some 40 vessels, most of which have been in use for nearly 35 years and needs replacement. The major modernization of the fleet based will see at least 18 new ships in the next decade, according to the Russian Navy command. Old Su-24 bombers and amphibious sea planes will be also replaced by newer models. Russia is going to expand its whole fleet of submarines, Burtsev stressed. In line with the country’s defense strategy, nuclear submarines will be only in Russia’s Northern and Pacific Fleets. It will include both multi-purpose ones and those armed with ballistic missiles, as well as diesel submarines.